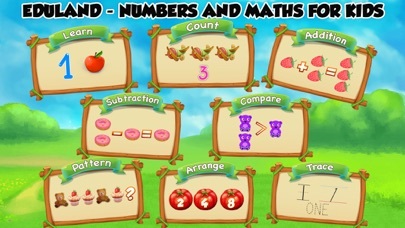 EduLand brings you Kids Numbers and Math Game for Preschool and Kindergarten children. Learn; how to count, compare, arrange, add, subtract the numbers. Kids will love playing this game with great fun. Kids Learning Math teaches basic concepts of mathematics such as counting, addition, subtraction. 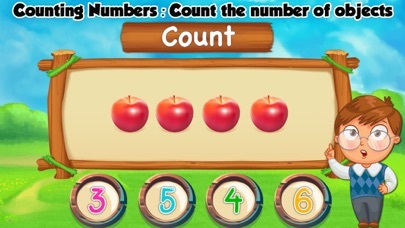 Kids will learn: - Counting : Count the number of objects and click the correct answer from the given numbers. - Additions : Find the sum of the numbers in the wooden box and pop the balloon with correct answer. 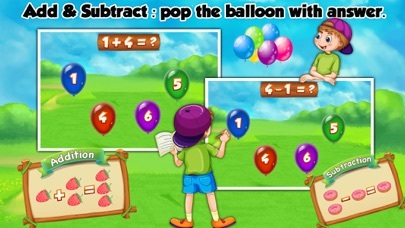 - Subtractions : Find the difference of the numbers in the wooden box and pop the balloon with correct answer. - Comparisons : Check the numbers value and drag the correct sign to the empty box to match equality. 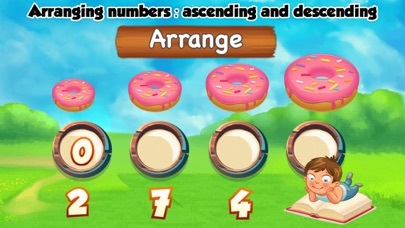 - Arrangement : Check the object sizes and arrange the numbers in ascending order or in descending order. 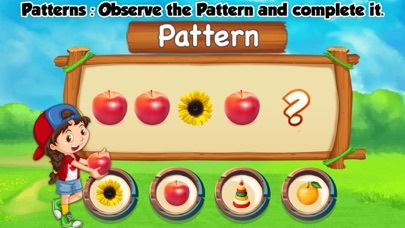 - Patterns : Observe the Pattern and drag the correct object from the available objects to complete the pattern. - Tracing : Trace the numbers to learn how to write 1 to 10. Kids Learning Maths is the perfect way to build up your kids math skills. Your toddler will enjoy a supportive, constructive and uniquely designed fun experience while improving basic maths skills. Start exposing the child to numbers from when he is a year old so that he will be familiar with them by the time he reaches preschool. Integrate numbers into the child's everyday activities and make learning them as fun as possible. The simple and clean user interface is designed to be child friendly, which allows to play without help from an adult. Professional voice-over gives verbal instructions and feedback to the child which makes learning fun.